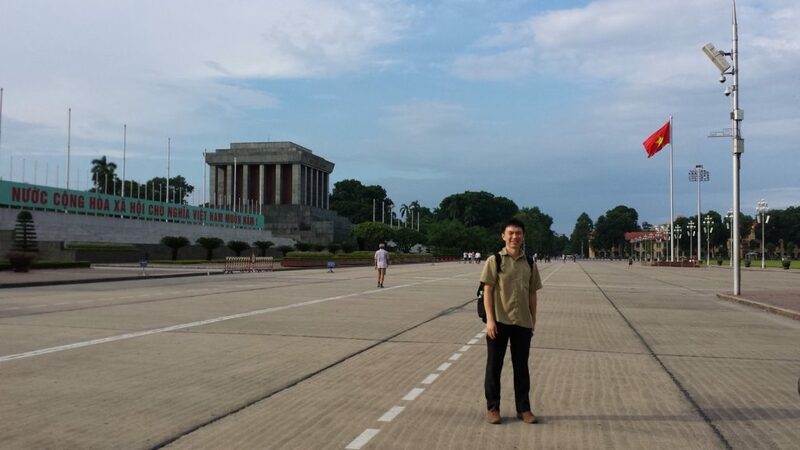 As part of my PhD study, I had the opportunity to spend three weeks in Hanoi, Vietnam between 13 September and 4 October 2017 to conduct interviews with Vietnamese scholars and policy makers to obtain their insights and views on Vietnam-China relations. This was made possible through the Patrick Gillam Scholarship fund for fieldwork funding. Among the interviewees I spoke to include personnel from the Vietnamese Ministry of Defence, the Diplomatic Academy of Vietnam, the Institute of Defence and International Relations, the Vietnam Institute for Development Strategy as well as the Vietnam Academy of Social Sciences. I also had the opportunity to speak with various NGO groups as well as Vietnam-based journalists thus further enriching my understanding of Sino-Vietnam relations. Given the long history of Vietnam-China relations, much of the conditions of present-day Vietnam society is intricately linked with developments in China, of which it shares a 1,280 km land border with. Many of the respondents I spoke to expressed ambivalence towards China, particularly on the geopolitical front. While China’s economic expansion and development provided opportunities for Vietnam to prosper, territorial disputes have also soured Sino-Vietnamese relations of late, thus creating pockets of unhappiness among the general population towards China. Nevertheless, both countries by virtue of their similar political systems meant that it was in their respective interests to maintain a stable relationship so as not to unduly jeopardize their political rule domestically. I also participated in a conference entitled “100 years of real socialism and the theory of post-capitalist civilization: Commemorating 100 years of the Great Socialist October Revolution” which was held at the Vietnam Academy of Social Sciences (VASS) on 26-27 September 2017. The event, which was co-organized by the VASS and the World Advanced Science Research Project, based in Mexico, provided me with the opportunity to understand how scholars from socialist nations perceive the international political system from a different ideological vantage point and their proffering of alternative viewpoints towards international issues. Given my PhD training in the UK, it was rare to attend, let alone present a paper, at a conference entirely dedicated to the promotion of socialist ideas. The conference was useful and help me to appreciate other scholarly insights into both my and other interrelated fields of study. Finally, the research trip also allowed me to take in some of the historical sights and monuments of Vietnam’s rich history. 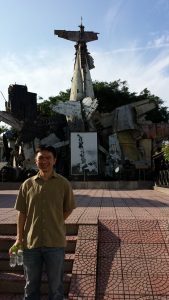 The visits for instance to the Ho Chi Minh museum allowed me to witness the enduring influence Ho Chi Minh had towards Vietnam’s nation-building efforts while the trip to the Military History Museum provided me with a brief, but poignant acquaintance with the numerous conflicts throughout the country’s history. Of course, no visit to Vietnam would be complete without a visit to some of the landmark locations of the country, including the UNESCO-acclaimed Halong Bay, Ninh Binh and also Sapa Valley, which included an ascent of the 3,143 metre Mount Fansipan (by cable car, unfortunately). 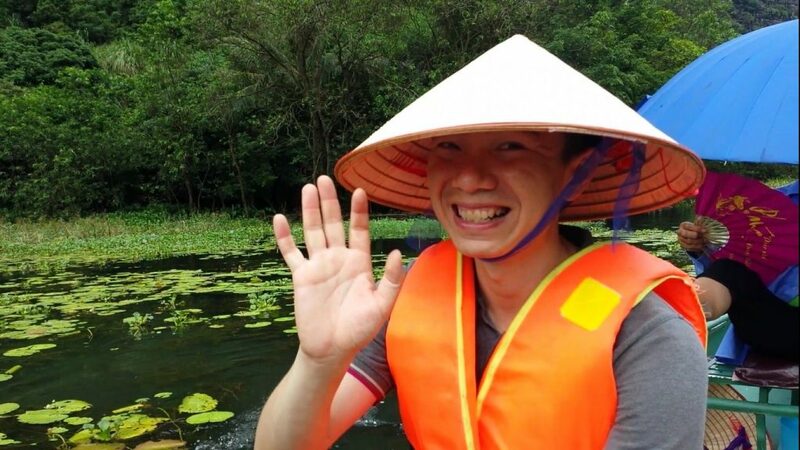 On a boat ride in Ninh Binh, considered one of the most beautiful provinces in Vietnam. The trip was made possible through the Patrick Gillam Scholarship Fund for fieldwork, awarded by the Department of International Relations, LSE. Scholarly material from the trip will be included in the PhD dissertation as well as published in a journal article that the author is working on. This entry was posted in departmental news, fieldwork reports, report and tagged awards, fieldwork reports, Patrick Gillam Fieldwork Award, student news. Bookmark the permalink.